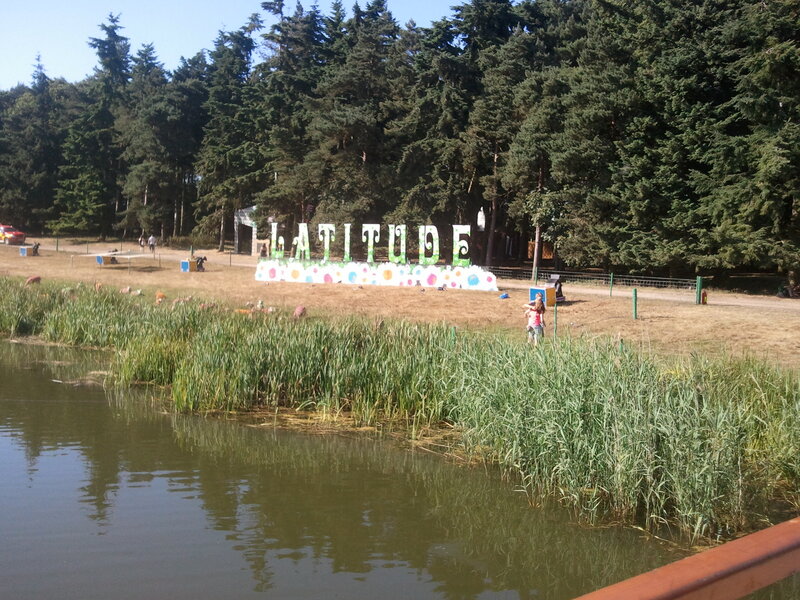 The lovely people who organised the artist retreat a while back took their pop up theatre venue The Campsite to Latitude. Margaret, the 2 berth caravan and a bell tent were the venues for this venture. 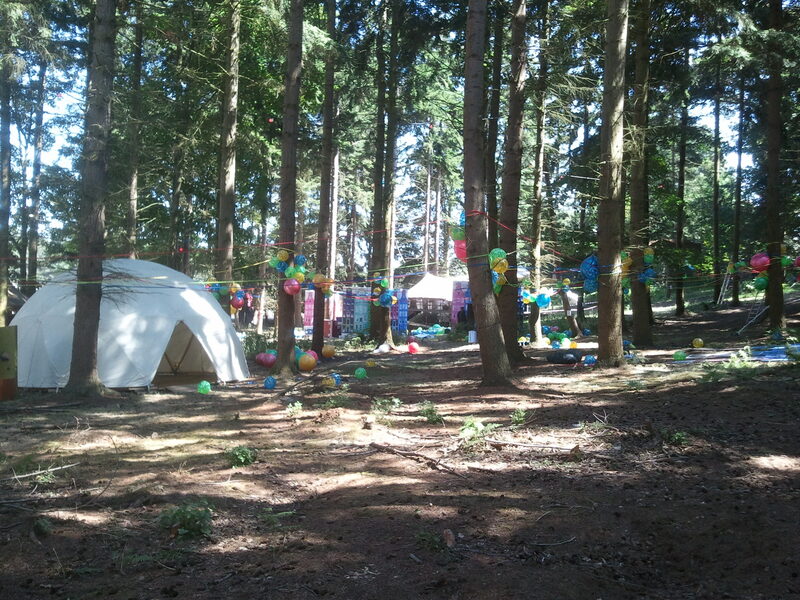 The Campsite was to be situated within the Faraway Forest along with other outdoor theatre and performance venues, i.e. tents, sheds, gazebos etc. The theme of the forest was ‘what defines me’ with a nod to neuroscience and sexuality, and, for some strange reason, they thought my current performance would fit- well a scaled down version. Another chance to see if I could take the specificity out of the performance and create an intimate telling of my own search for ancestors. Armed with a small portable photo album and some packets of coffee sweets I gave it a go. Given a 2 hour slot to perform meant that sometimes it could be to 5 people, sometimes one depending on who was around at the start time but this gave me ample opportunity to try different methods of story telling. In the case of the one on one it was more of a conversation. I reckon over the 3 days I played it about 15 time to around 50 people. Out of those 50 peeps only 3 found it uncomfortable and couldn’t look me in the eye. Some stayed and told me about their own search for ancestors – fascinating stories, some told me other stories from different parts of the country that linked to mine and some just asked questions. A lovely way to add to my research into the dramaturgy of solo performance. You can see a small mention of me amongst a comedy review here. Apart from my piece there were three other autobiographical performances, 2 spoken word, mini films sponsored by the Welcome Trust and a tiny peep show 18+. All perfect, intimate and completely different. The rest of my time was my own – but what to see? I decided to just wander around and find my entertainment rather than methodically look through the programme and circle what I wanted to see. Some tents had blackboards out side with timetables, others it was just pot luck. I had wanted to catch some comedy but the headliners filled the tent and beyond and I found the rest clashed with me or other theatre I needed to see. What was noticeable was the inability for people to engage for more than 20 minutes or so. A lot of art forms allow this quite naturally; art and installation is there for you to take as long as you want over it and music the same, you can leave when you’ve heard enough. Most of the venues catered for this, you either stood and watched or sat on the floor and got up and left when you needed to. The theatre tent though was a fixed seated labyrinth with steps that clunked every time you walked down them. This had an adverse effect on the performances I saw in there. Daniel Kitson, a festival head liner – he was everywhere – started a show at 11.15pm and from 11.35 there was a constant stream of people leaving and arriving all under his eye line. This, he pointed out to us, unfocused him and he asked if they could leave by another route, but that was not possible. 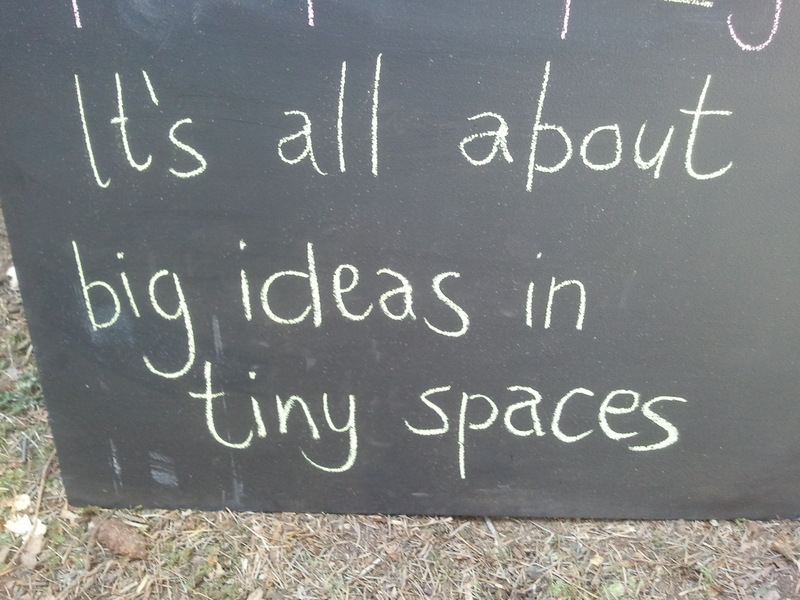 The theatre tent has been growing in stature over the last few years and a lot of companies bring work in progress or scaled down versions of larger pieces and though no fault of Kitson, maybe the work should be curated with this in mind. It also happened throughout Hugh Hughes – the emerging artist from Wales. Again, he found it off-putting to see people walking across his eye line and after the first few people did it he just gave up commenting. There is a set of procedures you have to follow when you go to a theatre with fixed seating and it would have been so much easier if the front of the audience could have stood, with seating at the back for people who wanted to sit. At least that way it may not have been so noticeable if people left. A conversation to be had over time as theatre becomes more immersive and with a different relationship to its audience. My festival must see was the National Theatre of Wales and Neon Neon’s Praxis make Perfect, a performance that in the Bristol Mayfest took place in a nightclub with the audience among the action. Stuck in my seat, itching to get to my feet, this only made me wish I had made the journey to Bristol and seen it in a space the piece was meant for. All in all a really nice few days to clear my mind of my impending thesis due date and to be amongst some really lovely creative people. Having spent a few nights in my tent I finished the experience with some Suffolk friends who gave me a bed, good food and a warm bath to soak away the dirt of the Latitude grounds. 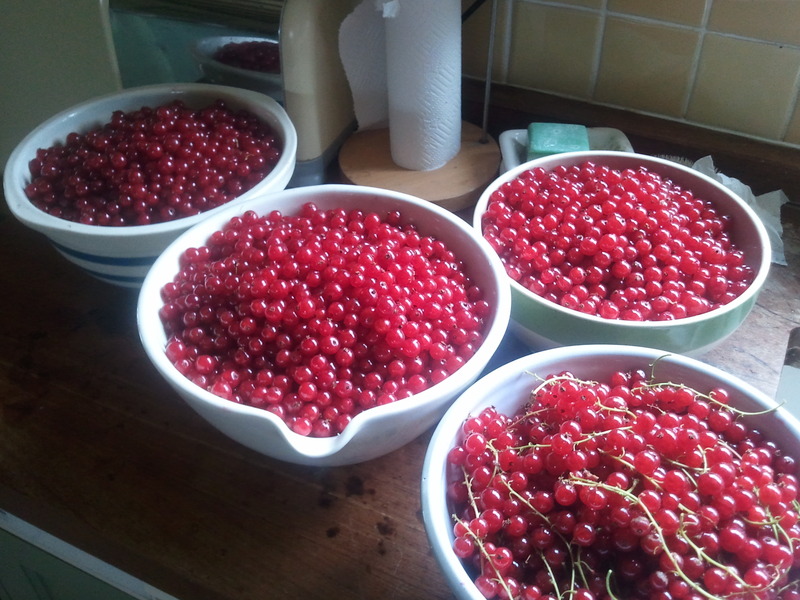 We spent some time picking redcurrents – a great antidote to a festival. This entry was posted in Festival, Performances and tagged Daniel Kitson, Hugh Hughes, Latitude, Praxis Makes Perfect, The Campsite on July 24, 2013 by Ruth.